Main Dish | Cook It Quick! This blog was created by guest blogger, Sunny Arnold, a dietetic undergraduate student at the University of Nebraska-Lincoln. Do you love to host parties but don’t know what to serve? Are you looking for a new way to incorporate protein, vegetables and grains into your meals? This delicious stuffed bell pepper recipe gives a fresh look at healthy eating with new, exciting flavors. (The secret ingredient is a bit of cinnamon.) Sound interesting? Try it out! This recipe can contribute to the USDA’s daily recommendations of three cups of vegetables, six ounces of protein and 6-8 ounces of grains (according to a 2,000 calorie diet). Make it optimally healthy by choosing whole grain brown rice, low sodium diced tomatoes and 90% lean ground beef. This recipe requires only about 20 minutes prep time and 40 minutes cook time! 1. 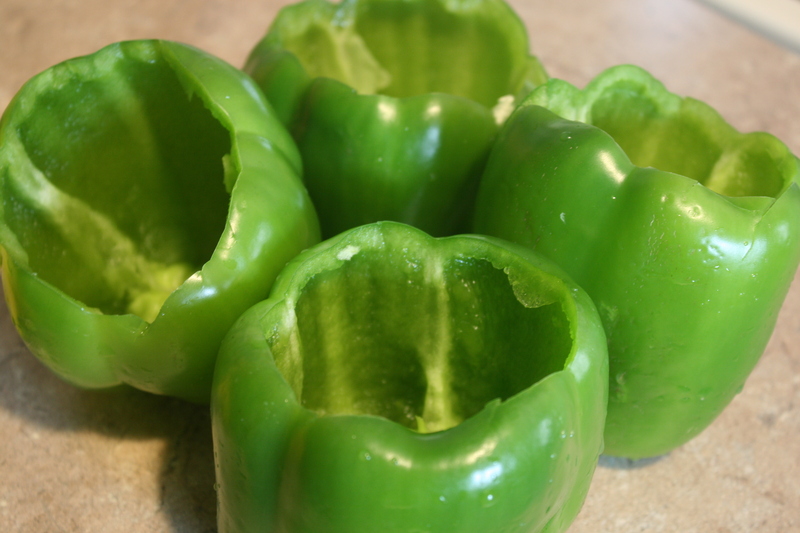 After washing the bell peppers, cut off the tops and remove the membrane and seeds from the inside. 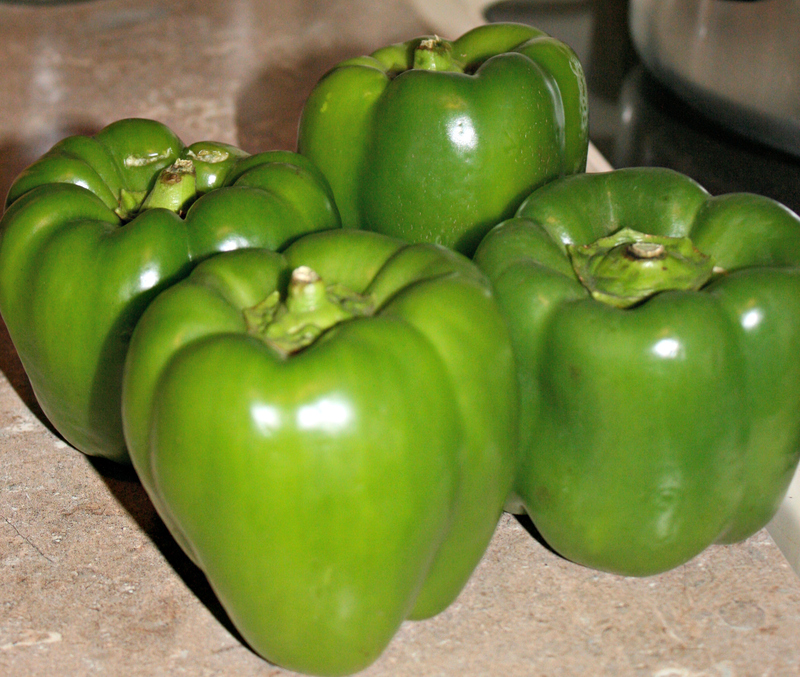 Clean, ripe bell peppers ready to be cut! 2. 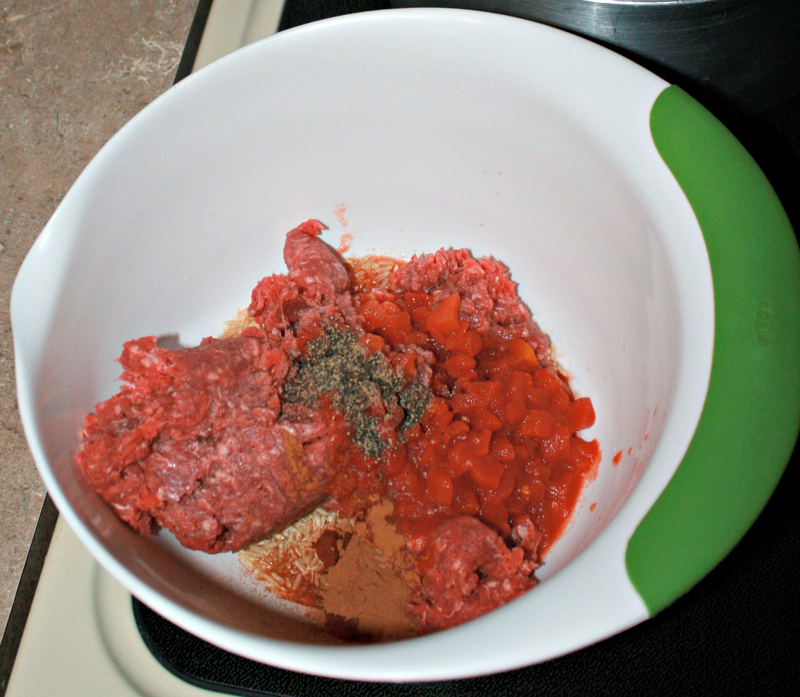 In a large bowl, combine ground beef, rice, diced tomatoes, lemon juice and spices! Mix! 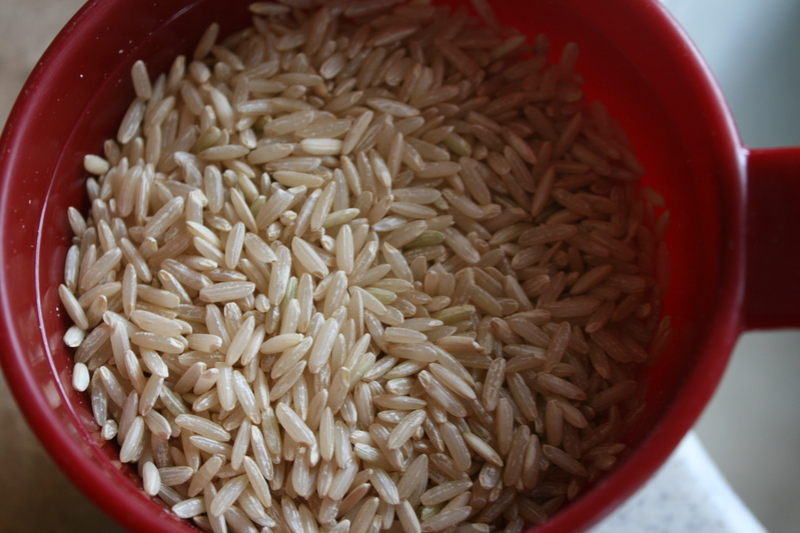 Try whole grain brown rice! It may not look pretty yet, but it will soon! 3. 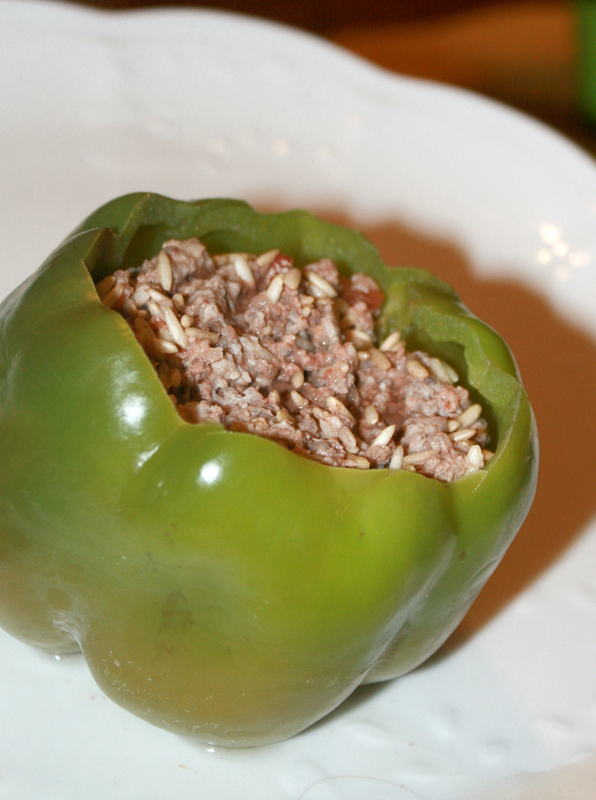 Scoop the meat mixture from Step 2 into the open bell peppers with a spoon! 4. 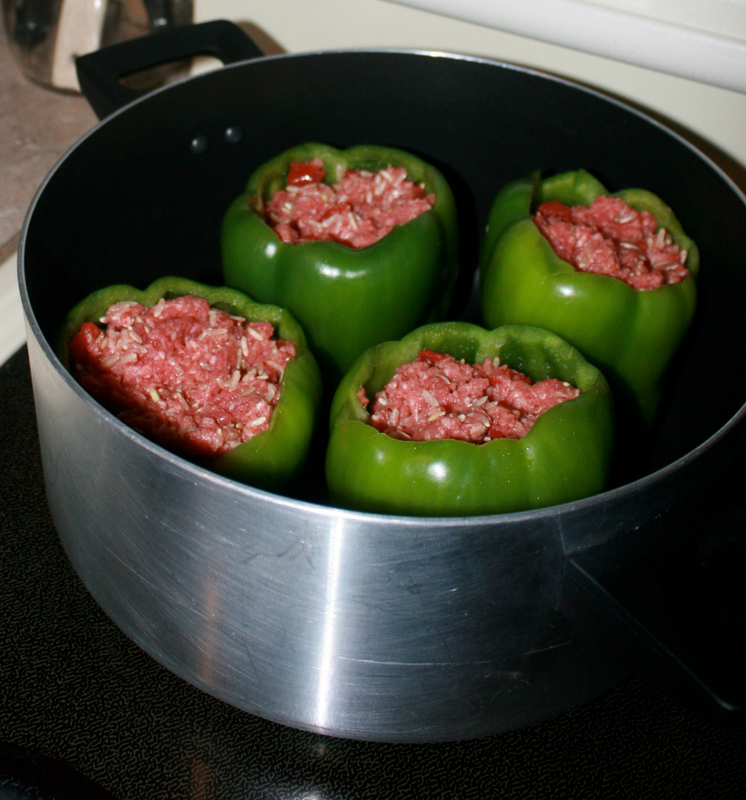 Put the stuffed bell peppers in a large stock pot on the stove. Add water to the stockpot to a depth of about 1 inch. Cover the stock put and cook on low for 30-40 minutes until rice is soft!